The August doldrums find BMInt in no doubt as to what musical event to feature this week—the only one in town on our calendar for the night. Tens of thousands attend Boston Landmarks Orchestra’s Hatch Shell concerts for the good reasons that they’re free and they present summer classical hits without pandering. 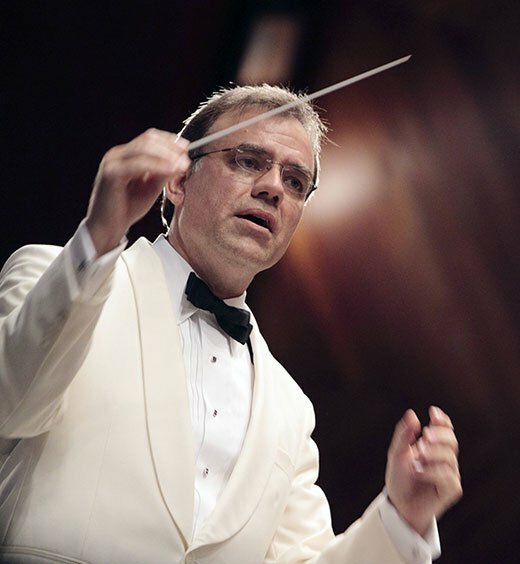 Don’t expect the Boston Pops to play any contemporary classical music on its annual Esplanade outing or any classical music at all, for that matter, but count on BLmO to do both. John Adams’s Lollapalooza, in fact, opens the show Wednesday at 7:00. Tchaikovsky’s Fifth Symphony, and Gershwin’s Strike Up the Band Overture follow before the next new work, Gonzalo Grau Elements, a world premiere. In Grieg’s Peer Gynt Suite, Music Director Christopher Wilkins brings a once-beloved pops staple. When an early version of this Wednesday night’s concert featured only Gershwin and Tchaikovsky, Christopher Wilkins referred to it as ‘Strike Up the Band,’ But once he added four young singer-songwriters; a choir of their fellow students at Zumix; one of the region’s most distinguished soprano soloists in Jayne West; and various (and sundry!) musicians from the Honk! Festival of Activist Street Bands, formed tonight into the mobile unit, Boston Area Brigade of Activist Musicians (BABAM)…. ‘Strike Up the Band’ no longer cut it. The merry little band had morphed super-cornucopia. That’s when the word ‘Lollapalooza’ apparently popped into the Landmark’s collective consciousness. There is hardly any orchestral music as familiar, popular, and pleasing as Tchaikovsky’s Fifth Symphony. It begins with a melody of brooding intensity in the lowest range of the clarinets. In his sketchbooks, Tchaikovsky referred to this idea as an expression of “complete resignation before death.” The theme is a unifying subject—a motto—for the whole symphony, evolving as though it were the principal character of a novel. In the second movement, it takes on a sinister tone as it threatens to turn a rhapsodic moment into a catastrophic event; in the third movement, it dances easily and unexpectedly with the principal waltz theme; and in the last movement, it becomes a grand exultation, an expression of hard-won victory. The main section of the first movement is built from two contrasting melodies, each with the shape of an arc. The first melodic idea emerges with trepidation, growing in confidence as it begins its long march; the second wraps us in surges of love and longing. Out of these gripping materials, Tchaikovsky creates a series of emotional waves, like the repeated rising and falling of hope. The second movement begins with slow shifting chords in the strings that create a bed of support for a long and expressive horn solo. This tune—developed in a succession of arches—eventually dovetails with a theme in the oboe that brings an aura of optimism. The music builds through a series of surges and releases, finally settling on new harmonies and rhythms, and a theme in the solo clarinet reminiscent of the Arabian Dance in The Nutcracker. There are moments in all of Tchaikovsky’s symphonies that remind us what a supremely gifted composer of dance music he was. The third movement would have been equally at home in The Sleeping Beauty, for instance, for all its delicacy and poise, its soaring lines and lilting grace. The opening of the finale returns us to the motto theme. This time it appears as a fervent march with proud Russian bearing. The main section—Allegro vivace—mixes fiery rhetoric with ecstatic lyricism. A final moment of glory arrives as the motto is transformed into a triumphal march. Some critics find the conclusion overwrought, but there is no question of its power to move. It is a peroration written for grand effect, which it never fails to achieve. What capacity of you is naturally produced? I know too well that things don’t last. build by the breeze, go with the flow. Who will birth me though? Mothering my thoughts, so they don’t get lost. Control my own Eco, systems gaining speed though. I try. Mothering my thoughts so they don’t get lost. Welcoming my thoughts, but what is the cost? without you knowing I’m there. the oxygen that you breathe. I am everywhere; you depend on me. creating fears and bringing tears. bet you still don’t know I’m here. I’m here, I’m here. Always here. I awoke, and saw the light. The moment of life, I was born to die. The second I took my first step, I questioned my existence; the universe didn’t make sense. I pointed out its flaws and I could feel people’s energy deplete when I burned their knowledge of God. Simple minds flowing, like faucets in the street of the youth, and I refused to conform. I awoke, and saw the light. My passion for knowledge began to spread throughout the city. Left and right people were consumed in the spine of my flame that destroyed their beauty. Vivid colors turned grey. Who was I becoming? I was channeling frustration, and anger from tyrants. All because I didn’t understand who I was. But I awoke, and saw the light. My visuality ripped the city in torment and backwards growth. My eyes were red, full of violence. I began asking, “Who am I?” Ahh! I explode, I expel. I rip the city off its axis, revoking access to sanity. As I calm, I begin to cry. Then my tears heal me. People surround me, forming circles, and leave me off the ground. As the city fills with colors. If it wasn’t for the Wind, I wouldn’t exist. So thank the Earth for the chain reaction of nitrogen passing through the waves of the planet to fuse, and from the fuel needed to burn right through the light of the moon to guide the cyanide straight to the gold in the deepest part of the mines, lying in a hole, full of hope, waiting to rip open, to shine eternally. Fireflies and apocalypse. If it wasn’t for me, you couldn’t see the piece of the Ocean that lies deep within the Mariana Trench, and the Challenger, deep. If it wasn’t for me—Ah!—you couldn’t stand the heat. And it’s perfect, and I’m worth investing all your materials to keep me shining like the stars in the galaxy. Arriving towards the warmth of the sun, and the horizon of the skies, analyzing the capitalizing of flames. The perfect mixture. But my Sister, embedded in hate, changing the influence that I’m wielding over students that spark fires, with drumsticks and toothpicks scrape the wind. If it wasn’t just for me, the energy from your corpse wouldn’t rise and feed the seeds. So meet demise when I’m not present, you all need me to fill a flower full of breakfast, and feed the needy. So push away the wind that my Sister carries, so push away the sins that my Sister slaps upon the masses, to turn my people to evil. If it wasn’t for the wind, I would be a bigger pillar of flame to heal the Earth! Henrik Ibsen’s five-act verse drama Peer Gynt was never intended for the stage; it was written to be read. He called it “theater for the mind.” But the work proved so popular that considerable demand developed for a staged version. Ibsen finally agreed to a staging nearly a decade after Peer Gynt’s initial publication, but only on the condition that Edvard Grieg compose the incidental music. It remains the only example of a work created collaboratively by playwright and composer, whose popularity has kept it in the mainstream for both theater companies and orchestras. Yet staged productions of the play with the orchestral accompaniment are exceedingly rare. One day soon, perhaps, the Boston Landmarks Orchestra and Commonwealth Shakespeare Company may take up the cause. The language of Ibsen’s Peer Gynt is often coarse, the subject matter jarring. It seems likely that Ibsen wanted Grieg to compose the music because he knew that a staged performance required emotional allure to be dramatically effective. It was a case of Grieg playing McCartney to Ibsen’s Lennon. The Peer Gynt music has indeed proven immensely attractive from day one. The excerpts we perform tonight are taken out of their narrative context, but they do portray certain central figures. Solveig is the girl back home, who remained true to Peer despite his many failings. Her pure, selfless love stands in contrast to the selfish, brutish urges of the troll king and his clan. At the end of his life’s journey—or perhaps only after it is over, and therefore too late—Peer grasps the redemptive power of Solveig’s love, a love that is absolute, steadfast, and all-forgiving. In partnership with ZUMIX, Longy El Sistema Summer Academy, and BABAM! 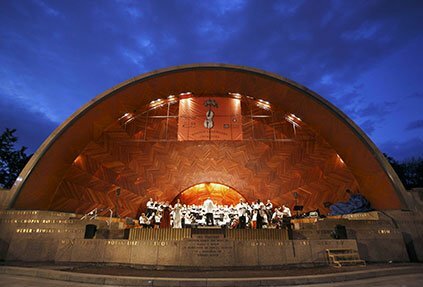 If it is raining on the 10th, the concert will be postponed to the 11th at the Hatch Shell. If it is also raining on the 11th, the concert will be moved to Emmanuel Church (15 Newbury Street, Boston 02116) on the 11th.